Inside Scoop: Inflammation is at the root of many chronic conditions. Here are some of the most powerful natural anti-inflammatory foods. This post was submitted by Nick Gold, a health writer for hire specializing in fitness, nutrition and wellness topics. Anti-inflammatory foods provide one of the best ways to maintain optimal health. These foods are not only loaded with nutrients, but they can also be used in the treatment and prevention of chronic inflammatory diseases which have life-threatening consequences. Did you know that approximately 3 out of every 5 people in the world die because of an untreated chronic inflammatory disease? Some of these illnesses include cancer, stroke, diabetes, heart disease or respiratory conditions. To find out how the most powerful natural anti-inflammatory foods help your body, it’s important to understand the role of the inflammation process first. Inflammation is your body’s natural response to infections or injuries. A popular form of inflammation is fever which happens when infection is detected in the body. While the body is in this state, your immune system sends white blood cells to neutralize potential foreign invaders such as microbes, bacteria or viruses which might have entered the body. There are two main types of inflammation – acute and chronic. Acute inflammation is temporary and beneficial. The body detects foreign organisms in the bloodstream and launches complex defense mechanisms to eliminate them. Then, everything gets back to normal. Chronic inflammation is more problematic. It involves a constant “war” against foreign invaders. When the body is in a permanent inflammatory state, it can indirectly facilitate the development of numerous serious diseases including heart disorders, diabetes, auto-immune diseases and even cancer. How anti-inflammatory foods can help? 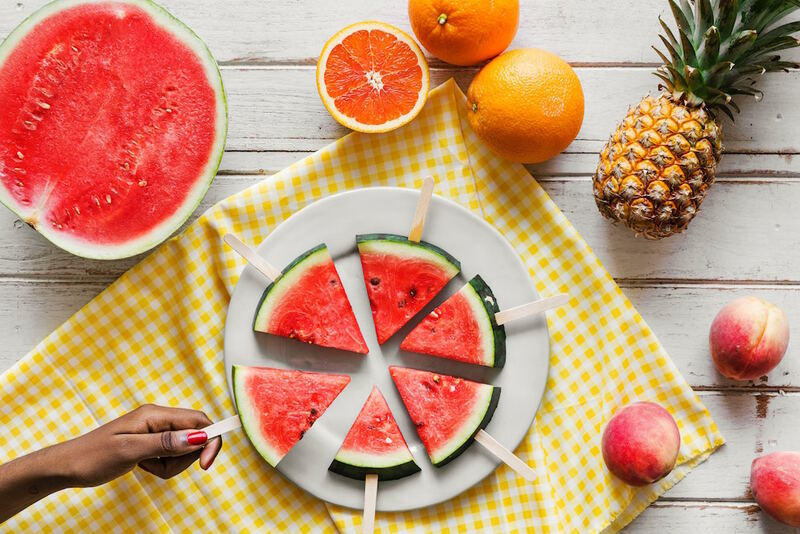 Certain foods have been scientifically proven to help reduce inflammation in the body and act as a prevention mechanism to further health complications. The amount of inflammation in the body can be assessed using certain biomarkers. A biomarker is a special type of gene or molecule which indicates the likelihood of developing a disease. Some popular inflammatory biomarkers include C-reactive protein (CRP), erythrocyte sedimentation rate (ESR), homocysteine and ferritin. When the level of these biomarkers is high, you are experiencing an excessive amount of inflammation which can lead to chronic inflammatory diseases. By including more natural anti-inflammatory foods in your diet, you can keep help in the management or prevention of disease, have more energy and help your body’s natural immune system fight viruses and bacteria. Here are some of the most popular foods that fight inflammation. Olive oil, particularly the extra virgin variety, is loaded with monounsaturated fats that are good for your heart and circulatory system. It can reduce the risk of heart disease if it is consumed on a regular basis. Some other heart healthy foods are found here. 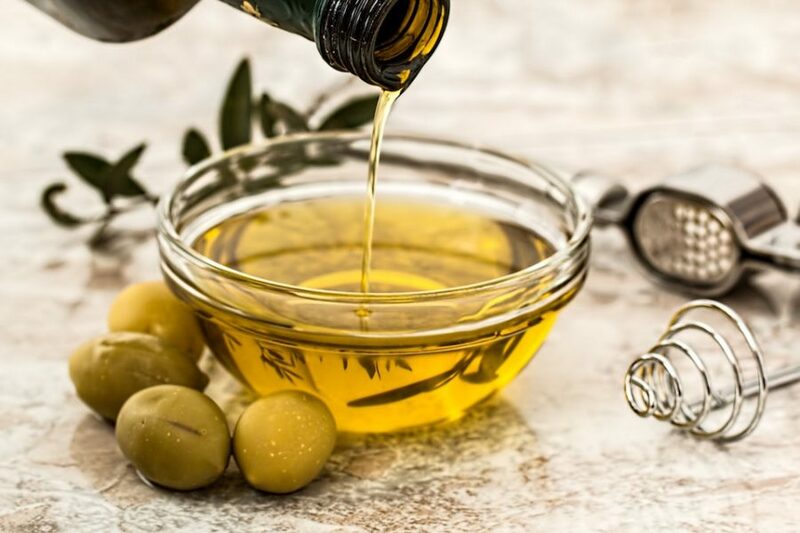 Best of all, olive oil can be added to numerous dishes and meals, so it’s not hard for you to include it in your diet. The recommended intake is up to two tablespoons of olive oil per day. Make sure that you go for extra virgin olive oil instead of more refined types to reap the most anti-inflammatory benefits. Make this delicious Spinach & Artichoke Hummus and serve it with some extra olive oil. Yes, it gives you bad breath, but garlic is so beneficial for your body! Without getting into the nitty-gritty of garlic, what you need to know is that this herb contains allicin which is a sulfurous compound that reduces inflammation in your system. Garlic has been shown to improve the cholesterol profile by reducing LDL (“bad”) cholesterol levels. Eating 2-3 cloves of garlic several times a week is sufficient to reap its benefits. Raw is best, but if you don’t want to get the bad breath associated with garlic, you can simply cut cloves in smaller pieces and swallow them with food or water (without chewing). Try this Kale Salad with Creamy Garlic Dressing or this Pan Fried Fish with Garlic Tahini Sauce. Apart from healthy fats, avocados also contain a lot of fiber which improves regularity and maintains a healthy digestive system. One of the best things about eating avocados is that they help reduce skin inflammation, so you can enjoy a more beautiful, supple and glowing skin. The carotenoids content of avocados might decrease the risk of developing certain types of cancer such as breast and prostate. Add one or two slices of avocado to your breakfast, lunch salad or smoothie several times per week and you will reap its anti-inflammatory effects. Enjoy this Skin Glowing Avocado Smoothie for breakfast. Cruciferous vegetables such as broccoli are known to be some of the most nutritious foods out there. Apart from providing a significant amount of fiber, broccoli is loaded with antioxidants which help neutralize free radicals in the body. When it comes to anti-inflammatory effects, broccoli has been shown to reduce the risk of cancer and heart disease. Sulforaphane, an antioxidant found in broccoli, can also reduce the number of cytokines which are responsible for chronic inflammation. Don’t like the taste of broccoli? We promise, Creamy Broccoli Salad with Lemon Caper Dressing will change your mind. Whether you go for blueberries, blackberries, raspberries or strawberries, you are making a great decision. These fruits contain multiple vitamins, minerals and antioxidants and which help in reducing inflammation and biomarkers for heart disease. Including more berries in your diet is not difficult. You can enjoy them early in the morning with oatmeal and consume a handful of berries several times a week. Leafy greens are known for helping the body fight viruses and bacteria. Kale and spinach are two great examples of leafy green vegetables which provide numerous health benefits. Studies show that kale can help in cancer prevention as well as protect liver cells, so including it in your diet is definitely a good idea. Try this Kale Salad with Shrimp or this Kale & Lentil Taco Bowl. Spinach also has protective properties and when combined with other veggies and fruits, it can lower the risk of obesity as well as chronic diseases. They provide a high amount of vitamin C which helps the immune system fight viruses and bacteria. Oranges also contain folate which is good for heart health and might reduce the risk of developing cardiovascular diseases. Studies also show that orange juice consumed on a regular basis can significantly reduce inflammatory markers in people of all ages. 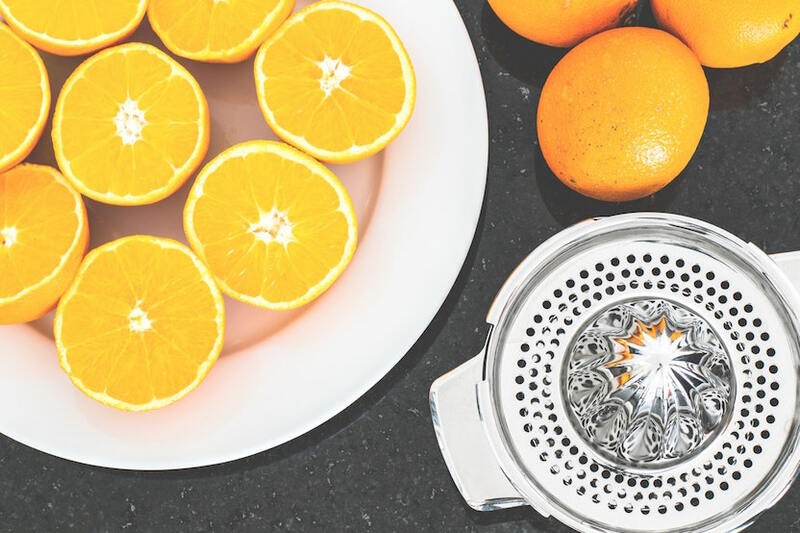 Since juice can be high in sugar however and most of the juices found on the market are made from concentrate, it’s best to eat the whole fruit which provides the extra benefit of fiber or make your own freshly squeezed orange juice. One of the best things about oranges is that they can be eaten in any moment of the day and are a nutritious and delicious snack for health-conscious people. There are numerous types of nuts which provide plenty of vitamins, minerals and nutrients to your body such as almonds, walnuts, peanuts, pistachio and Macadamia nuts. They contain monounsaturated fats (just like olive oil) and help to prevent cardiovascular diseases and in managing blood sugar levels and insulin. Different types of nuts also contain certain nutrients such as manganese, vitamin E, potassium and calcium. Eating a handful of nuts per day can reduce the risk of developing type 2 diabetes. Just make sure you don’t go nuts when it comes to eating nuts since these are calorie-dense foods that can affect your weight loss goals if you eat too many! The Chinese have a saying – “rather 3 days without food than 1 day without tea”. They probably didn’t mean green tea specifically, but this healthy beverage is one of the most popular and beneficial types of teas in the world, and it had to make the list of the most powerful natural anti-Inflammatories. It is jam-packed with antioxidants which increase longevity and reduce inflammation markers. Green tea can significantly reduce the risk of heart disease and Alzheimer’s disease, protecting cells and DNA from damage. There are also numerous types of green tea available on the market and they have different flavors to choose from, so you can easily incorporate this healthy beverage into your current diet. Apart from reducing body inflammation, green tea is a great replacement for coffee! It contains less caffeine than regular coffee and can help you cut down on the number of coffee cups you currently drink. Turmeric, one of the most powerful natural anti-Inflammatories, is a popular Indian spice which can be added to numerous dishes. One of its main compounds, curcumin, has powerful anti-inflammatory effects and can help the body with its natural detox capacity. Curcumin has been shown to drastically reduce the C-reactive protein levels in the bloodstream when consumed on a regular basis. It can also decrease the risk of developing type 2 diabetes or arthritis. 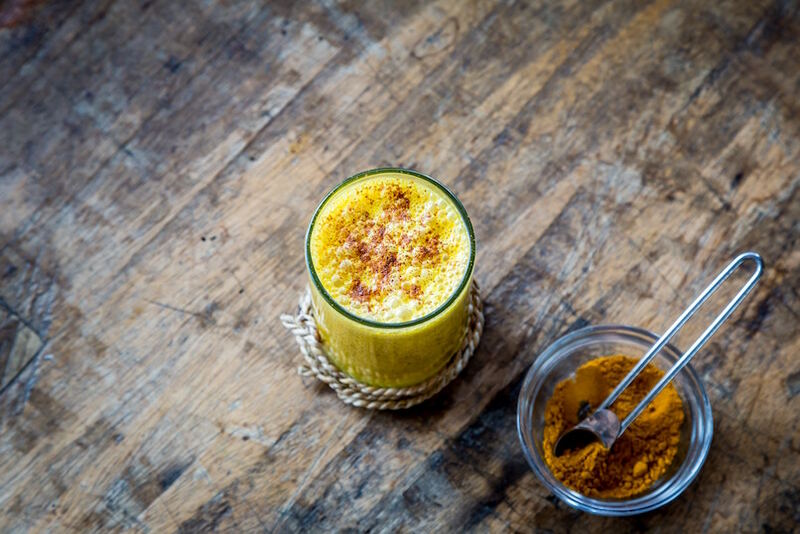 Although it can be difficult to get a sufficient amount of curcumin from turmeric alone, you can get curcumin supplements to reap its anti-inflammatory benefits. Yes, the list says 10 most powerful natural anti-inflammatory foods, but you simply cannot ignore tomatoes! Tomatoes are full of vitamin C and lycopene which is an antioxidant that may help reduce the risk of developing certain types of cancer. You can eat tomatoes raw or reap their benefits by drinking natural tomato juice which has been shown to reduce inflammatory markers and may benefit those with cardiovascular disease. To help your body absorb lycopene better, combine tomatoes with olive oil, preferably in salads. You can also try this Baked Ginger Salmon with Tomato Relish. 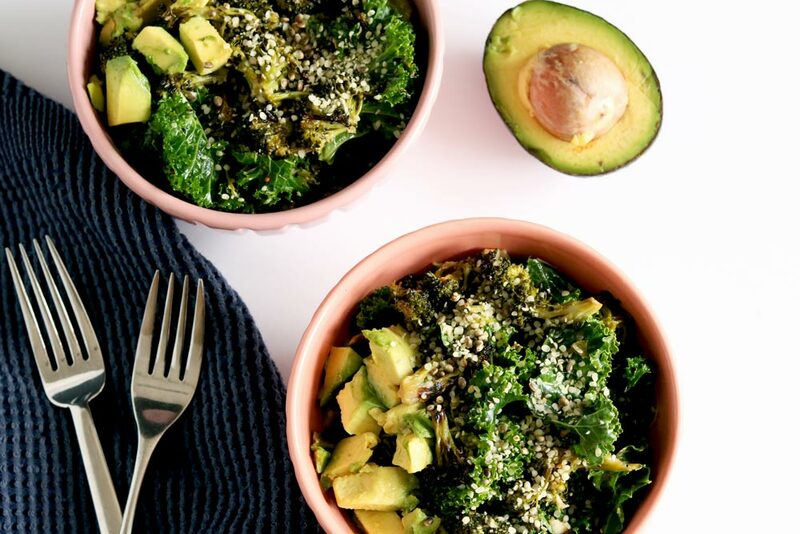 If you add other anti-inflammatory foods to your salad such as spinach, kale, avocado and a handful of nuts, you have created one of the most delicious and healthy dishes out there! These anti-inflammatory are easy to find and super easy to add to your daily diet. Make a habit of eating a few of these most powerful natural anti-inflammatory foods more often, and it won’t be long until you see significant improvements in your inflammatory biomarkers and your overall health. Nick Gold is a health writer for hire specializing in fitness, nutrition and wellness topics. 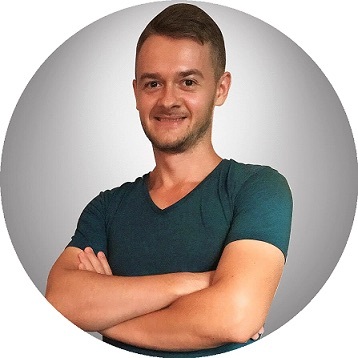 He writes regularly on multiple health websites including DiscountedLabs and ExcelMale. As a self-proclaimed fitness addict, Nick spends a lot of time trying different workouts and exercise regimens, practicing yoga, mixed martial arts and weight-lifting. In his spare time, Nick takes care of his cat, Zorro, and occasionally enjoys a pizza, his favorite cheat meal.